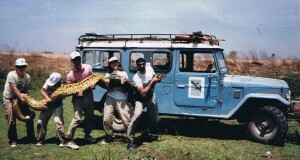 Many of the most interesting reptile field research reports are published in professional journals such as Copeia, Herpetologica and Herpetological Review, and are not available on the Internet. From time to time I’ll provide summaries of some of the fascinating articles that I come across. Today’s report covers Spring, 2010 publications: Common Snapping Turtles (Chelydra serpentina), Texas Horned Lizards (Phrynosoma cornuta), Italian Wall Lizards (Podarcis siculus) and Eastern Kingsnakes (Lampropeltis getula). An adult Snapping Turtle which lacked a lower jaw was found to be in excellent health and weight. The injury was long healed, so the animal had obviously learned to compensate despite an almost total inability to exert jaw pressure. I once came across an adult male Snapping Turtle (38 lbs.) with a similar injury. He was wandering about on land, and fresh wounds indicated that he may have been chased off by another male. I treated the cuts and installed him in an enclosed outdoor pond near the zoo’s reptile house, where I worked. The turtle soon rose from the depths when I slapped the water’s surface, and very delicately (yes, “delicately”!) took fish from my hand. It had difficulty pulling chunks from large fishes, so I provided bite-sized meals. I suppose it is this adaptability that allows Snapping Turtles to thrive throughout NYC (and in Japan, England and elsewhere!). Although several marine fishes are known to consume external parasites from the skin of Sea Turtles, the behavior is not well-documented in fresh water. Researchers in Ohio report observing Bluegill Sunfishes picking at a floating Snapping Turtle. Despite their close proximity to its head, the turtle made no attempt to catch these otherwise tasty morsels. I have observed a similar situation involving Fathead Minnows, Golden Shiners and Snapping Turtles. A Texas Horned Lizard was observed to leave its eggs uncovered after depositing them in the nest hole, apparently to seek shade and rest. During the resting period, the lizard intently watched the eggs – the first such documentation of this behavior. After covering the nest, it rested again, then returned and camouflaged the nest by walking about on the surface. The lizard then moved off and again watched the nest. Researchers report that during the hour-long vigil the female remained raised high-up on her legs and did not look away from the nest site. Italian Wall Lizards have been introduced to and are now breeding in NY, NJ, Kansas and Pennsylvania. I have enjoyed watching them in NYC, and wondered what role they now play in local ecosystems. Recently, it was discovered that American Kestrels (“Sparrow Hawks”) find them quite tasty. Two pairs of Kestrels in Manhattan and 1 pair in Queens have been observed feeding Wall Lizards to their nestlings. One male brought at least 6 different lizards to his nest. Carrion feeding is not well documented in wild snakes, despite the fact that most captives readily accept pre-killed animals. 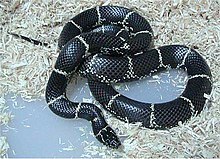 An Eastern Kingsnake in Florida was recently killed by a car while apparently consuming a road-killed Eastern Ratsnake. A Corn Snake had been consumed earlier. The oddest carrion meal of which I’m aware involved strips of fat taken from a road-killed pig by an Eastern Cottonmouth! Photos and story of NYC’s lizard-eating Kestrels. Video of Horned Lizard feeding and defending itself (they squirt blood from their eyes!). The Eastern Kingnsake eating carrion really makes me wonder again why some people insist on feeding live prey. 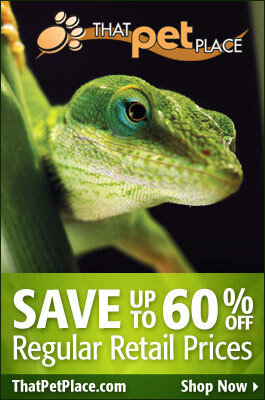 Just another example of the world we are only beginning to understand when it comes to reptiles. Thanks for your interest in our blog. I agree, and have seen many injuries resulting from the use of live prey for captives. The vast majority of anacondas I’ve handled in the wild bore wounds from prey animals, and in 2 cases deaths were likely caused by taking on dangerous prey (a too-large turtle and a deed with antlers). 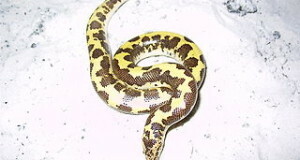 Except for a few rare insectivorous snakes, almost all can be induced to take non-living food items.